It’s May 25th, which means there’s one week till Video Rage comes out. I know, right? So close, how exciting! I have to admit, it’s been a crazy process getting this book out, but I’m glad that it’ll be out soon for all to read (and maybe review?). 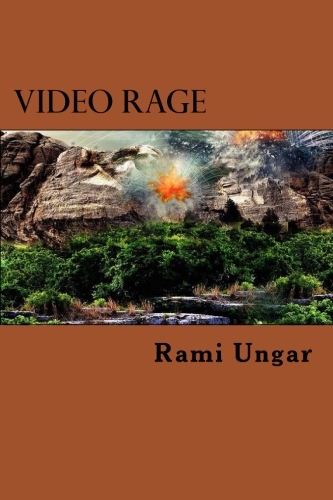 Now, if you’re unfamiliar with Video Rage (and you must be really new here if you are, because it seems I talk about nothing else lately), it’s the sequel to my first novel Reborn City, and the second book in the Reborn City series, a science fiction trilogy about Zahara Bakur, a Muslim teenager who finds herself forced to join an up-and-coming street gang called the Hydras after the death of her parents. The gang’s leaders all seem to have mysterious abilities and powers, and to add to the weirdness, the city’s leaders have a strange interest in the small gang as well. When the truth is revealed, Zahara and her friends will have to band together if they are to survive the forces set up against them. The first book came out back in November 2013, and it’s taken nearly three years to get the second book out (in my defense, I had school and work and a whole bunch of other stuff slowing down the process). But through it all, the writing and editing and re-editing and so much else, I’ve had you guys, my readers, my Followers of Fear, cheering me on. I’m so glad to have you and I hope you really enjoy reading the second book once it comes out. And speaking of which, if you’re interested in reading either book, the first book’s already out and the second’s available for preorder. Both are available for ninety-nine cents in e-book format, which I hope meets everyone’s budgets (paperback varies between books and sites). Links are listed below, so you can check it out from your preferred format or retailer. And if you do end up getting a copy of Reborn City and/or Video Rage and you read it, I hope you’ll let me know what you think of the books. Positive or negative, I love feedback from my readers, whether it’s in a comment on this blog or in an Amazon review (plus it helps me improve as a writer to know what works and what doesn’t work). That’s all for now, my Followers of Fear. Expect a lot more posts from me in the coming week, with maybe half of them being out Video Rage (yeah, I’m a dedicated advertiser when it comes to my own work). Until next time! Video Rage: Amazon, Barnes & Noble, iBooks,Smashwords, and Kobo.